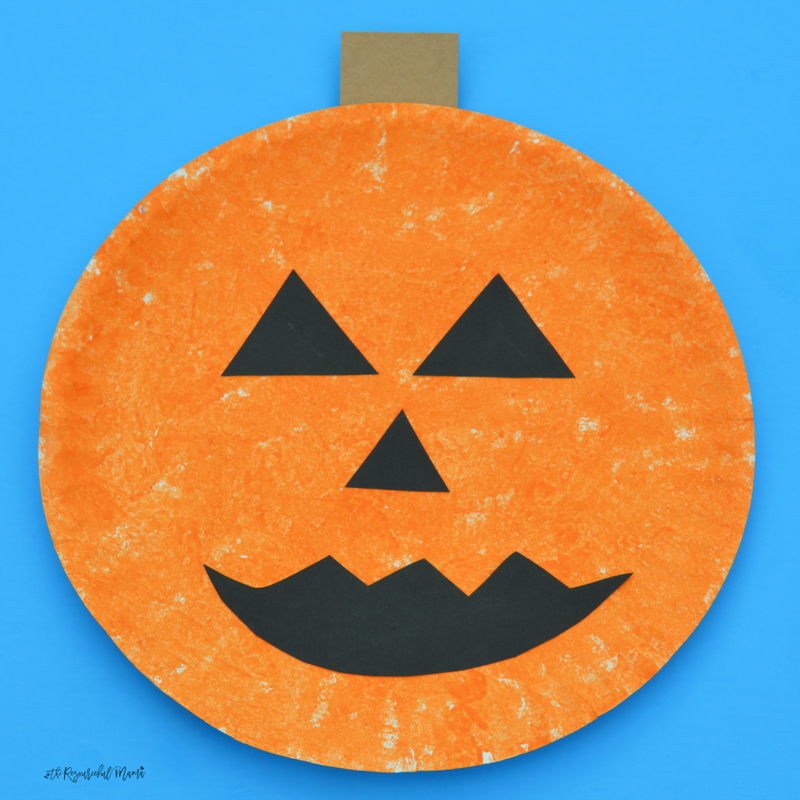 10 Fun Halloween Crafts for North Shore Nassau County Seniors | BrightStar Care " "
Why should kids have all the fun on Halloween? We’ve created a list of 10 fun and easy Halloween crafts for North Shore Nassau County seniors below. Research shows that crafting fosters mindfulness, eases depression, and may lessen your chance of cognitive decline, according to a 2011 study published in the Journal of Neuropsychiatry. That makes it one of the best Halloween activities for seniors. Of course the best reason of all to craft is that it’s fun and something grandparents, parents, and grandkids can all enjoy together. The ideas below can be made with household items you already have and include options suited for seniors with Alzheimer’s disease or dementia. Here’s the perfect excuse to take a fall nature walk together. 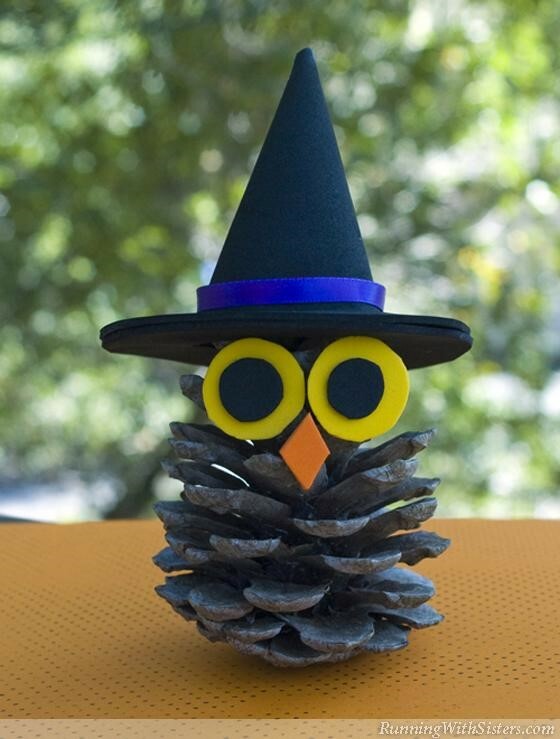 The adorable faces on these witchy owls get glued on pinecones. Collect different shapes and sizes to create a fun variety of personalities. From there, simply construct your hat from black felt and blue ribbon, cut out eyes from craft foam, and glue it all together. 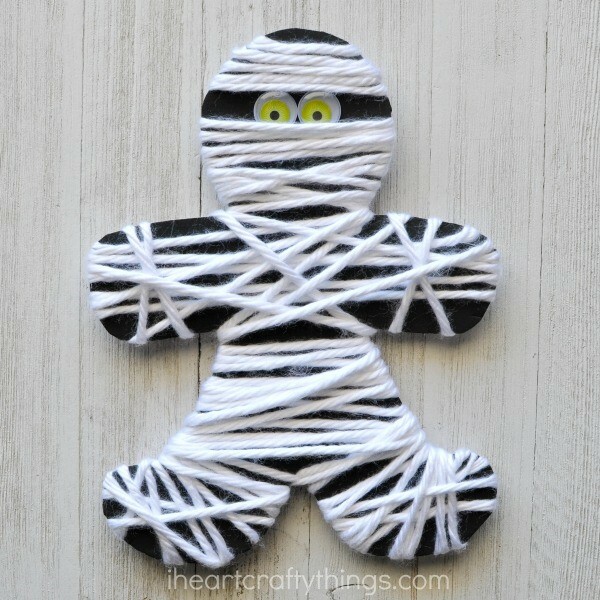 See full instructions from All Free Kids Crafts. There’s no need for stencils to paint these pumpkins. Cast-off apples from your family orchard visit do the trick. 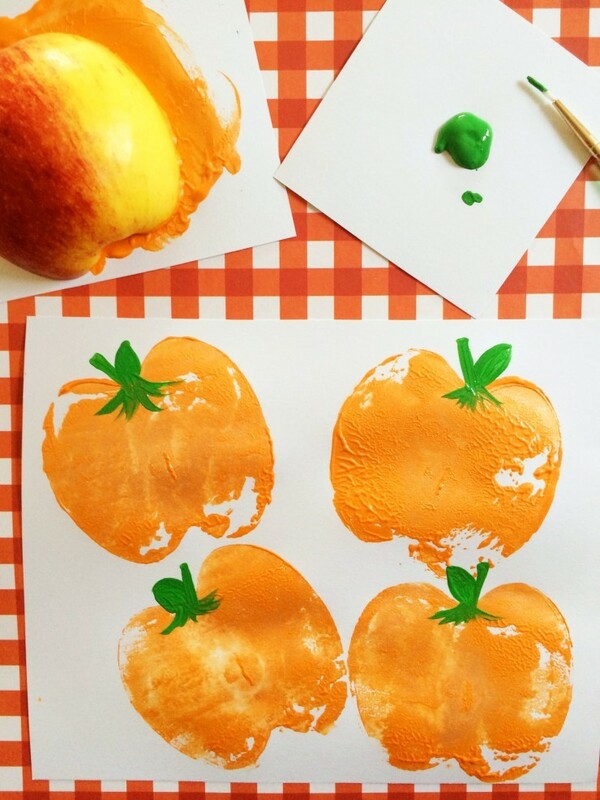 Cut your apples in half, dip in orange craft paint, and press to paper. Add a green stem at the top and use black paint to make it a jack-o-lantern if you wish. See full instructions from Frugal Mom Eh. Carving pumpkins is messy and not easy for North Shore Nassau County seniors with arthritis or little kids. These lanterns require minimal cutting and no scraping, just some rinsing and drawing. 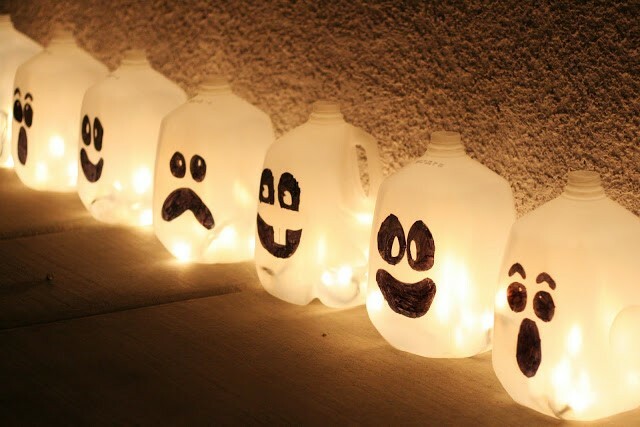 Clean out old milk gallon jugs, draw on faces with black permanent marker, and light with white holiday lights. See full instructions from Eighteen25. Another way to get around the carving, scraping, and scooping of making a jack-o-lantern is to paint one. A paper plate makes the perfect canvas, while sponge paint eliminates the need to go out and buy brushes. Just cut a regular dish sponge into pieces. See the full instructions from The Resourceful Mama. Everyone knows kids love slime, but it’s also a fun, tactile experiences for seniors with Alzheimer’s. Whip up a safe, non-toxic batch with school glue, liquid starch, and liquid watercolors. For a spooky effect, pass it around in a witch’s cauldron. See full instructions from Pleasantest Thing. Yarn is another great tactile tool for seniors with Alzheimer’s or dementia. They’ll enjoy the simple act of winding it around mummy-shaped construction paper. 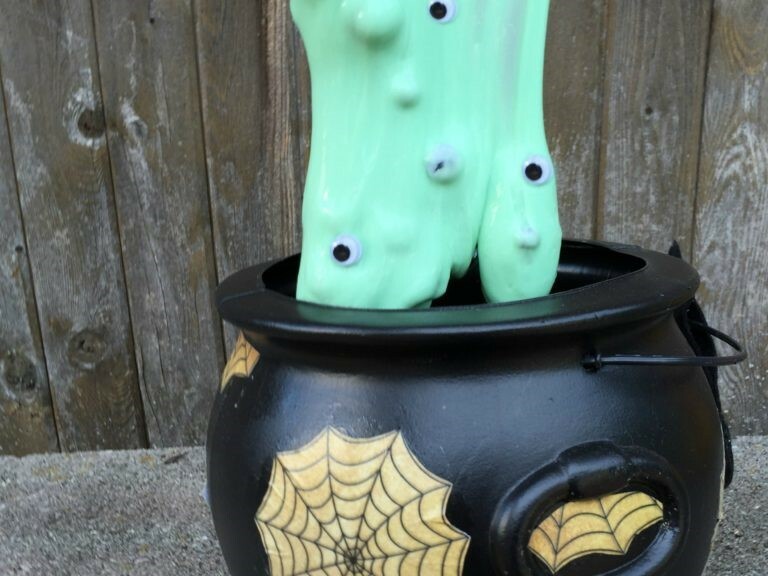 Glue on googly eyes for a silly touch. See full instructions from I Heart Crafty Things. Here’s another yarn-based craft. 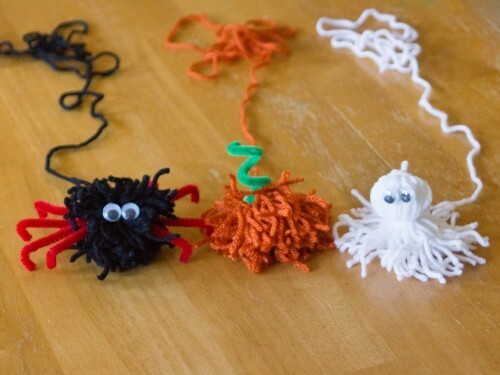 Loop, wrap, and tie different colors into your starting shapes, then add googly eyes and pipe cleaners for a pumpkin’s stem or spider’s legs. If you need something simpler, you can buy pom poms already made from a craft store. See the full instructions from Live Craft Eat. Who would have guessed that old toilet paper rolls could prove so cute? 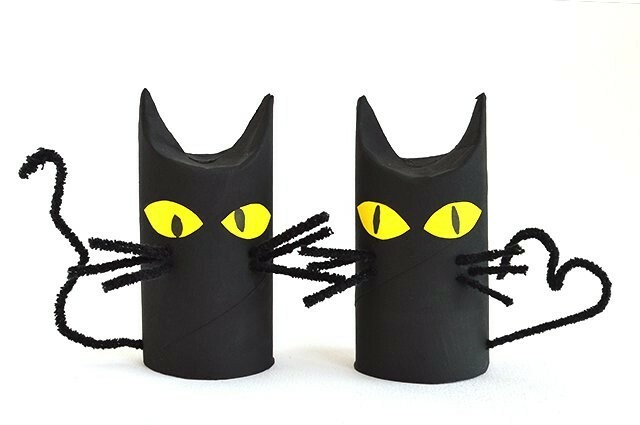 Simply fold and pinch the top to create your kitty’s ears, then paint black. (While the paint dries, watch It’s the Great Pumpkin, Charlie Brown.) Glue on eyes, create a tail and whiskers with pipe cleaners, and you’re done. See full instructions from Kids Activities Blog. It’s alive! 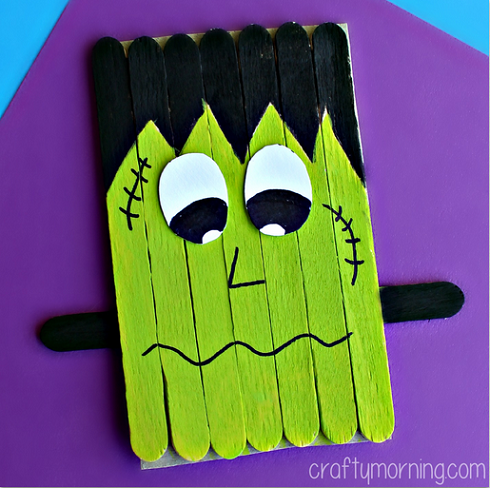 Create everyone’s favorite monster with popsicle sticks, paint, and glue. Cardboard (you can use part of an old cereal box) provides a backing—glue a magnet on so you can stick it on your fridge. See full instructions from Crafty Morning. 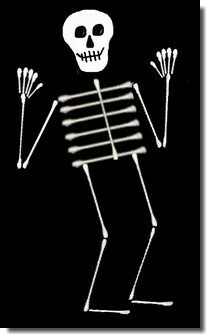 This skeleton craft couldn’t be easier. It’s ideal for young kids and North Shore Nassau County seniors with impaired cognition or motor skills. Arrange and glue Q-Tips on black construction paper and add a skull with white paper or a paint pen. Sprinkle on glitter for a little something extra. See full instructions from All Free Crafts. 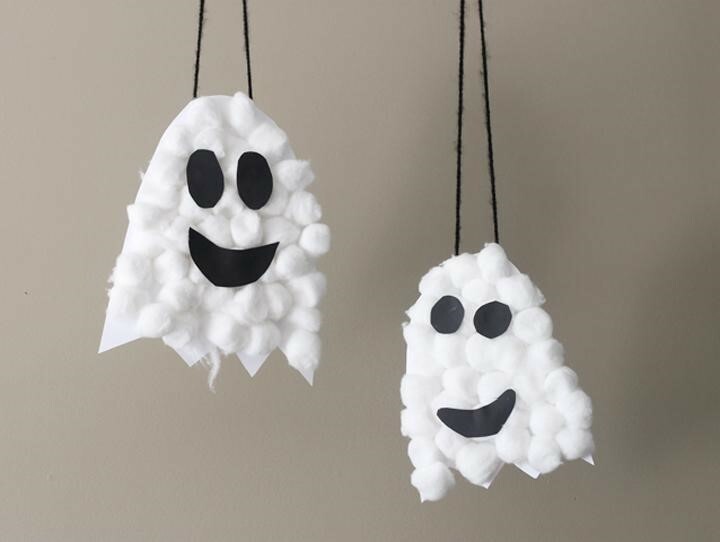 All you need to make these cute ghost mobiles are cotton balls, construction paper, and yarn. If you have safety concerns with letting your parent or child use scissors, then cut the ghost-shaped backings out of white cardstock in advance and replace black paper with puff paint to create faces. See the full instructions from Thriving Home. BrightStar Home Care of North Shore Nassau County proudly provide Home Care and Support for Seniors, including 24 hour in home care, and support in independent and assisted living communities. We provide all levels of home care from Companion Services to Skilled Nursing. Medical Staffing, Home Care, In-Home Skilled Nursing, In-Home Physical Therapy for pediatric, adult and geriatric patients, and Companion and Personal Care for Elders with Alzheimer’s or Dementia. We also provide Home Child Care, Sitter and Nanny services for Children and Support for New Mothers. We Support Veterans and accept most Long Term Care Insurance benefits, provide Hospice care, Live-in care, CNA, Caregiver, RN, LPN, RN Supervision, Compassionate Care, and Compatibility Guarantees. We are an ALS Society partner and Alzheimer Association member, providing care for the developmentally disabled and individuals of all ages with mental health and behavioral health diagnosis. Other services inlcude safe discharge and transportation from a hospital or rehab facility, Post Op care both short and long term, Pre Operation and preparation help and assistance and client monitoring for out of town family members. We proudly serve North Shore of Nassau County including Great Neck, Manhasset, Port Washington, Glen Cove, Glen Head, Greenvale, Locust Valley, Roslyn, Sea Cliff, Bayville, East Norwich, Mill Neck, Oyster Bay, Syosset, and Woodbury in NY.